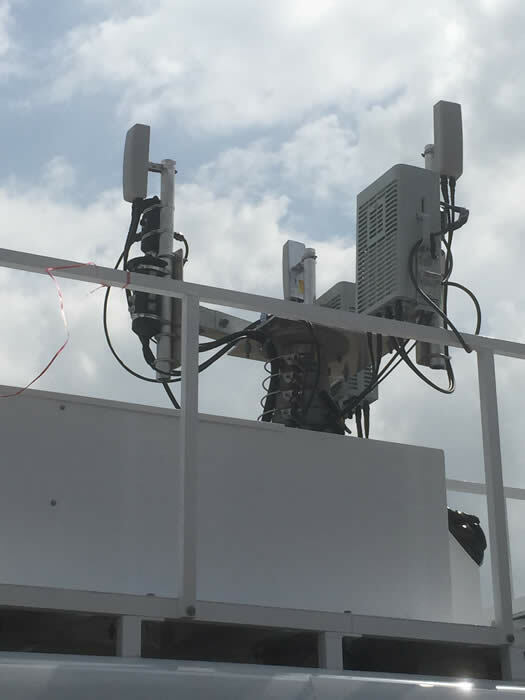 Your provider for custom permanent and mobile cellular, satellite and broadband wireless site solutions. 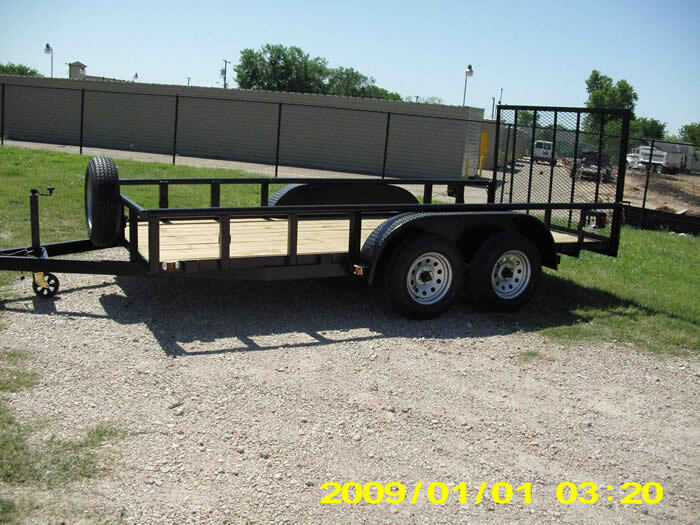 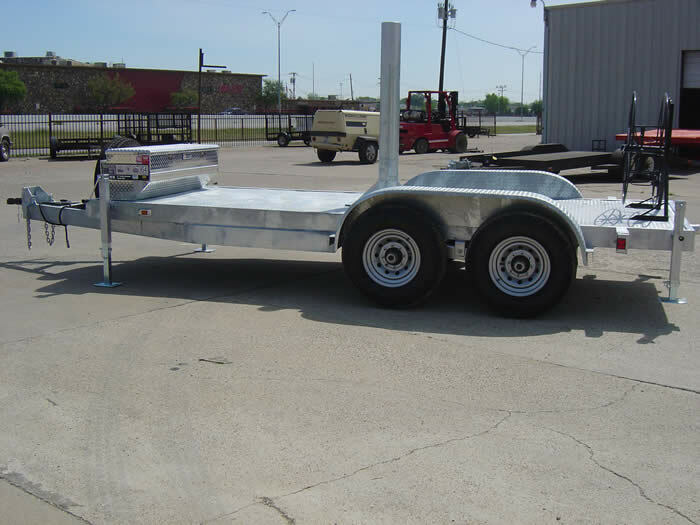 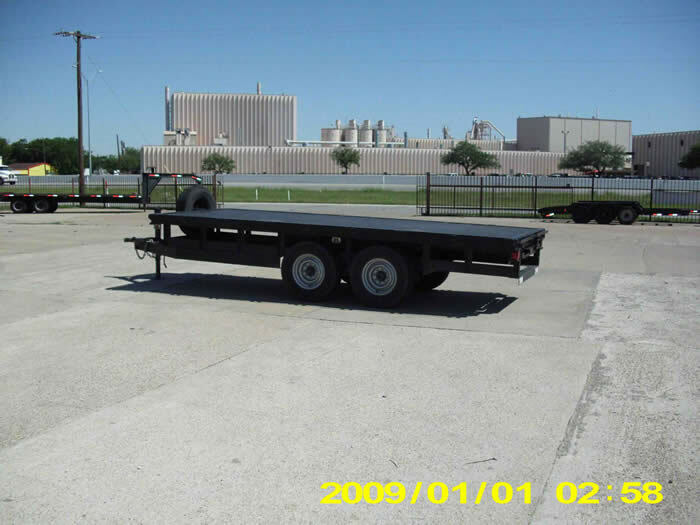 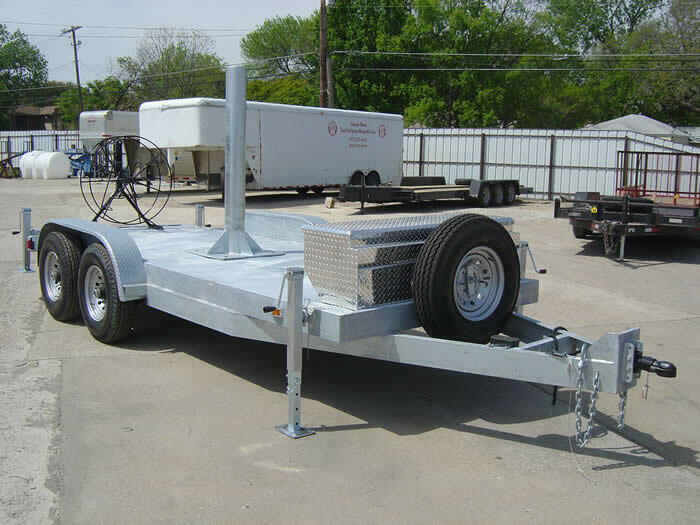 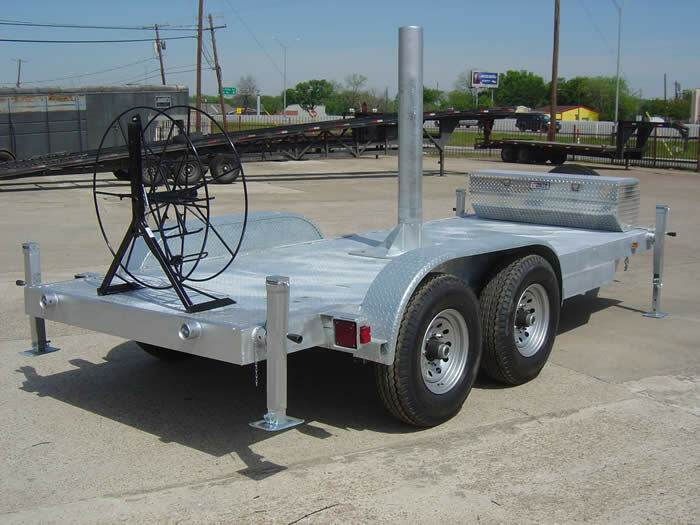 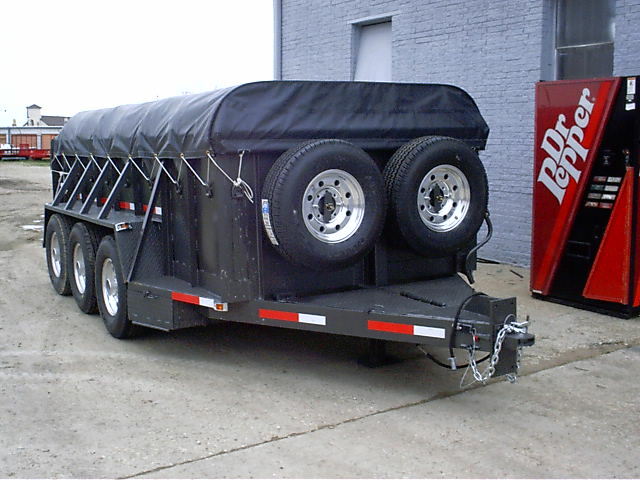 In addition to our trailers shown in our other product tabs on this website, we also offer many types of custom trailers, which are extremely well built and very competively priced, as well as custom steel or aluminum fabrication. 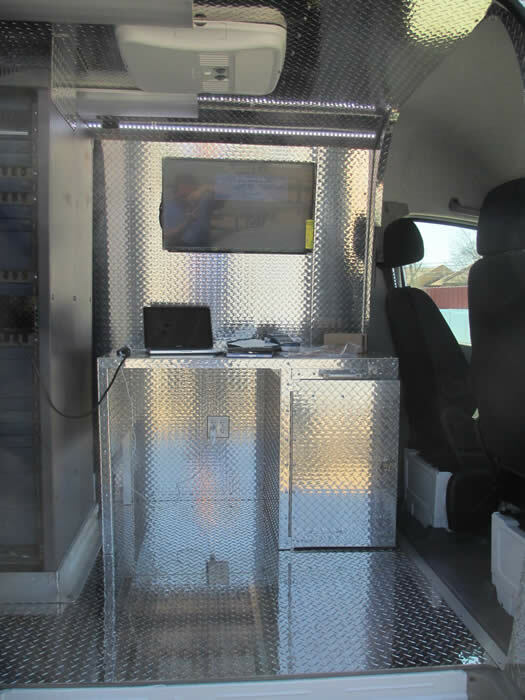 5th row: left shows a 3-sector RF / RRH mount with rotating end plates on top of a van; right shows a custom finish out inside of a van including the custom built desk. 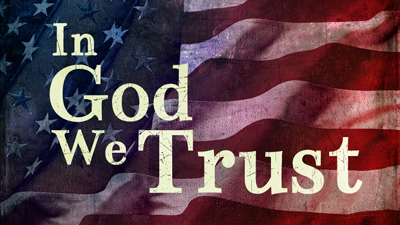 II. 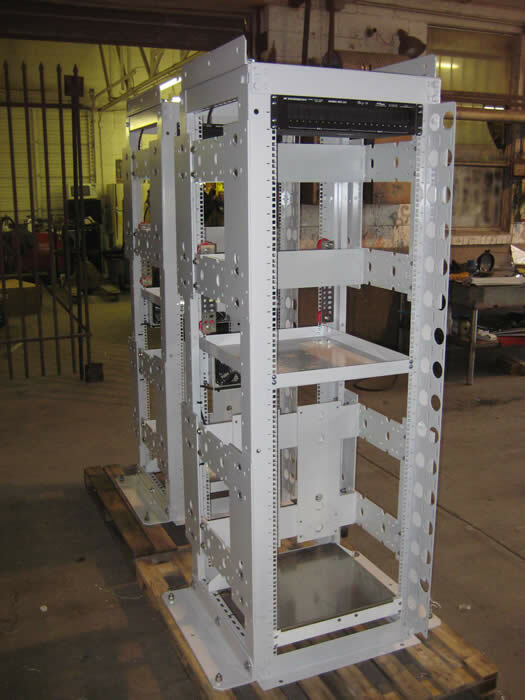 We are very experienced in designing and fabricating aluminum and steel piece parts used to take an off the shelf rack and integrate it into a custom product for a unique application, either mobile or permanent. 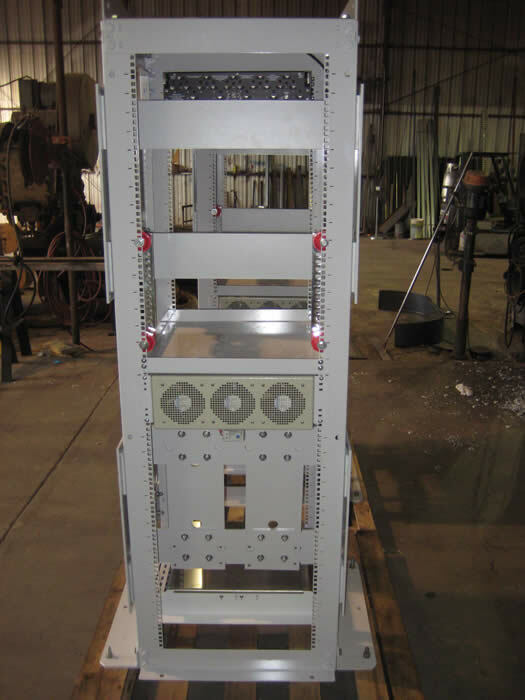 Below are photos of such a rack application for one of the major equipment providers here in the US, used for mounting radio heads used across multiple cellular technologies, for use in either a permanent shelter or a mobile CST, CSOW or CSOLT application. 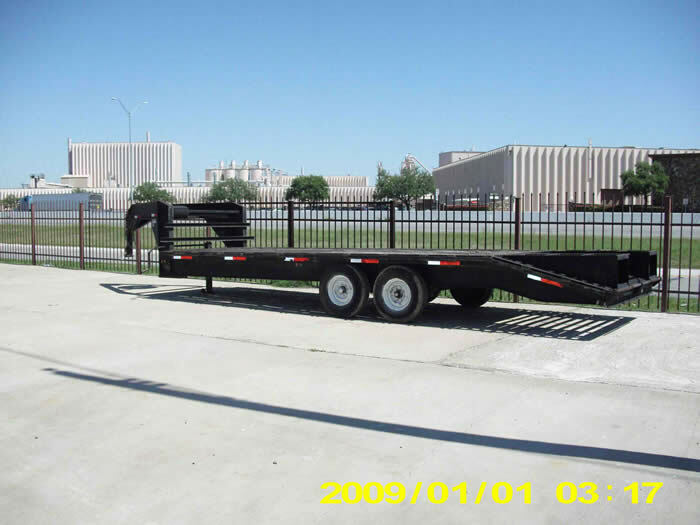 We also offer custom steel and aluminum fabrication, either stand alone or installed onto trailers or any type of vehicles. 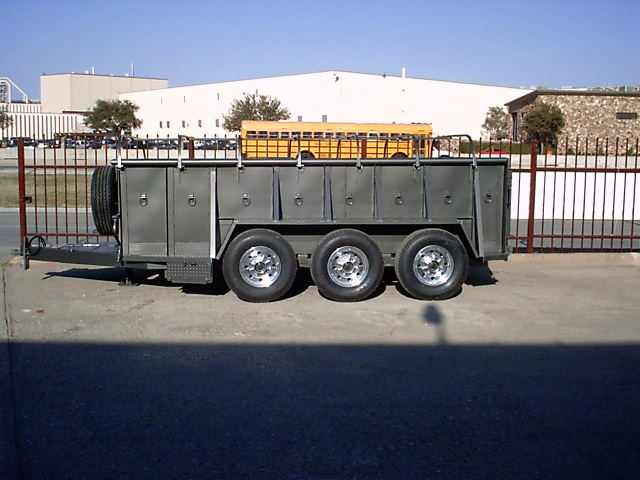 Below our trailer photos are some photos of our custom fabrication work, some of which are very unique trailers. 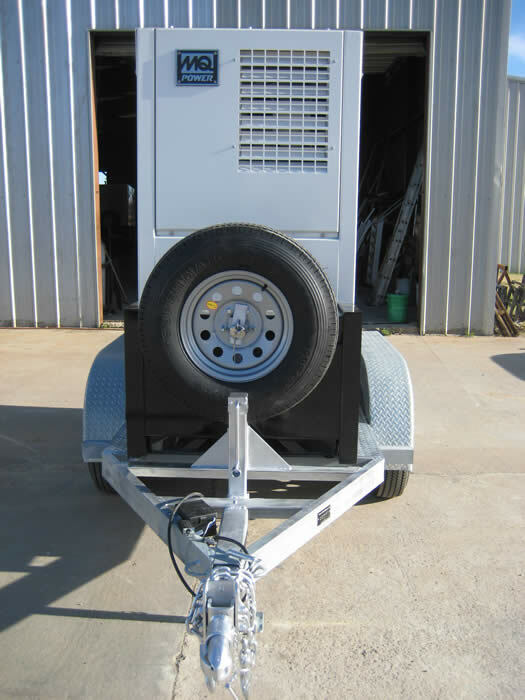 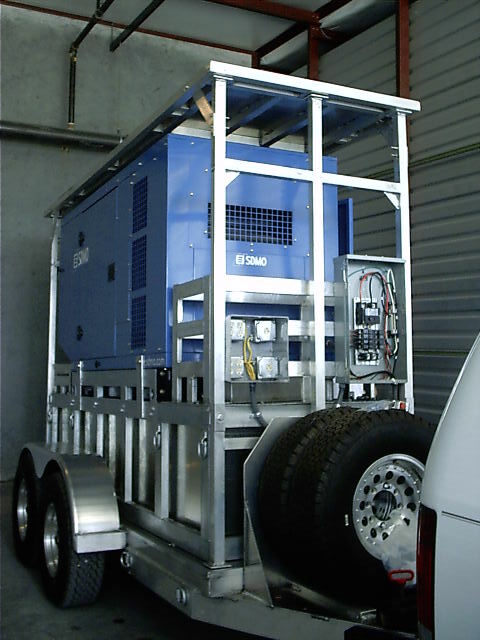 Below are photos of some custom generator trailers: the one on the left includes a custom aluminum fuel tank under the SDMO generator and an aluminum structure around the generator; the unit on the right includes an all galvanized trailer equipped with an MQ Power 45 KVA ultrasilent generator with a large base tank built into it. 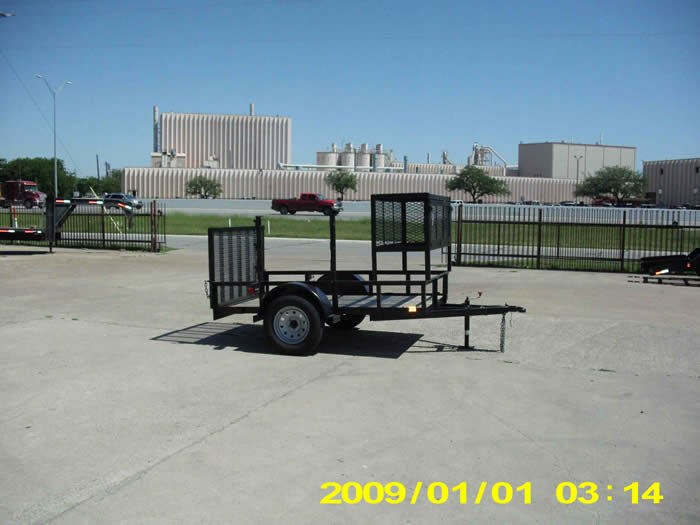 Below are photos showing a Kubota 4-wheeler that we modified as shown (luggage rack, moved the bed back for the 2nd row seat), as well as a custom trailer that we built to pull behind the Kubota (equipped with electric brakes, fold down tail gate, running lights and the same tires / wheels as the Kubota).